story focused on one such site, with ads appearing from brands such as Coles, Ford, Reckitt Benckiser, Hyundai, ING Direct and Telstra among other blue chips. Because of the consternation caused to clients, and the number of market players implicated, it became known as "Black Thursday" according to Xaxis operations director, Timothy Whitfield. Those involved started to investigate. Whitfield said it soon became clear it was a new strain of the scam. "It was using dynamic masking. So every time you refresh the page, the variables that identified the perpetrator changed. I had never seen that before. When we traced it back we found companies set up specifically to create these URLs and had created fraud technology specifically for that purpose." With so many parties involved, the negative publicity generated and the lack of knowledge both from brands and the press around the issue, the decision was made to form a united industry front. Whitfield is keen to stress that no single company is leading the charge. "This is not a Group M initiative. It is industry wide, a roundtable with no head. All the agency trading desks are involved, the sell side, the technology platforms and the brand safety companies." The first of a series of planned quarterly meeting took place last month, with 27 people around the table. The next will take place at Google's HQ in April. By that time, the council aims to have outlined a set of gold safety standards, and how much technology versus human intervention is required to combat the problem. Its mission will then be two-fold: to educate the market on where impression fraud comes from, and set up a rapid response unit to notify members of known or potential breaches to network whitelists. "We now know how to capture the specific variant found on Black Thursday, but we don't want to rest there. We want to take the fight [to the scammers]. As the technology to commit fraud evolves, so does the technology to catch it. If they are outpacing us, we have got problems. If we outpace them we can minimise it." 'Black Thursday' found a new strain of click fraud employing dynamic URL masking, covering the criminals' tracks. Agency trading desks and advertising technology platform providers have formed an 'impression fraud' council in a bid to tackle criminals siphoning off programmatic ad dollars. The initiative followed reports in the trade press that had spooked clients after highlighting the fact that criminal gangs are creaming off ad dollars by circumventing agency whitelists and serving up ads on illegal sites. The scam has existed for years as rogue publishers syndicate players to sites that are not registered on an ad exchange. The platform only sees the parent site and so can avoid detection. Brand safety tools work, but are not watertight. Such sites mimics a legal site through a technique called URL masking, tapping into different ad networks and ad servers to serve video ads. When sites are discovered to be rogue they are blacklisted but then the perpetrators move on. Often the sites are set up overnight and by the time they are detected, the scammers have already taken thousands of dollars. 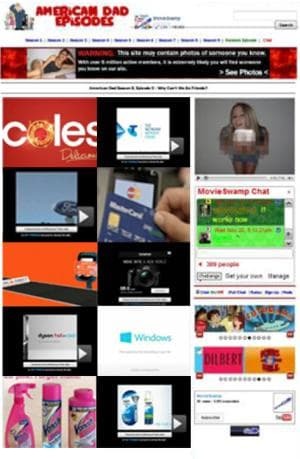 Last November an AdNews story focused on one such site, with ads appearing from brands such as Coles, Ford, Reckitt Benckiser, Hyundai, ING Direct and Telstra among other blue chips.